The oil pump slide spring and pin, as well as the slide seal and slide seal spring can be ordered as single parts. All other oil pump components can only be ordered as a replacement kit. 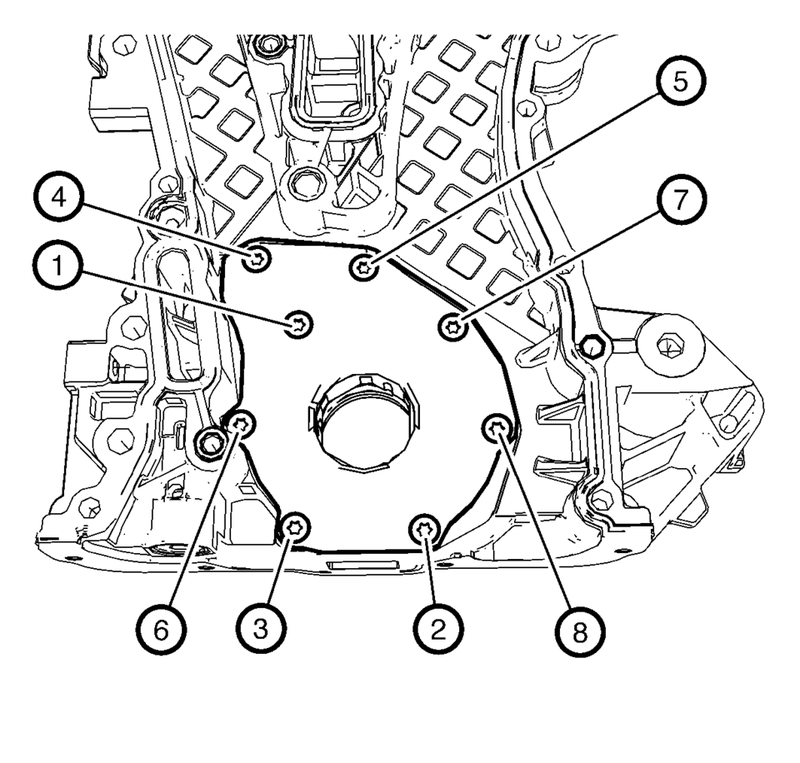 The bore (8) in the oil pump slide must fit smooth-running and without clearance to the oil pump slide pivot pin (7). Install the oil pump slide (6). Install the inner oil pump vane ring (5). Mind the installation position of the oil pump vane rotor (4). The mark (9) must point to direction of the oil pump cover. Install the oil pump vane rotor (4). Mind the localized flats (3) on the oil pump vanes (2) caused by the oil pump vane rings. The localized flats must point to the oil pump vane rotor. Install the 6 oil pump vanes (2). Install the outer oil pump vane ring (1). 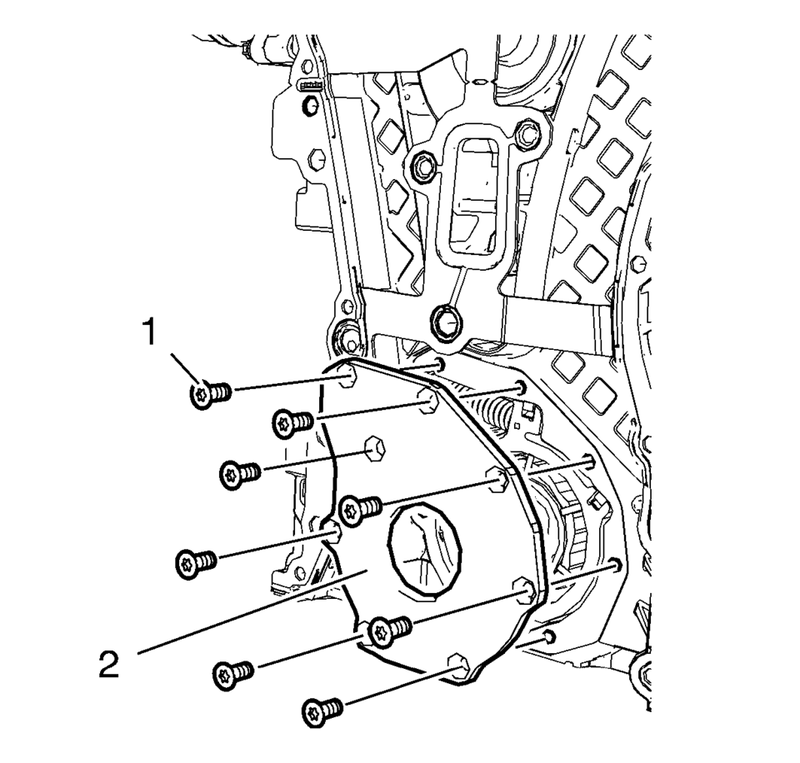 Install the 2 oil pump slide seals and the 2 oil pump slide seal springs (2) in the position as shown to the 2 grooves (1) of the oil pump slide. Protect the engine front cover edge (5) with a suitable piece of plastic. The length of the removed oil pump slide spring (2) should be 76.5 mm (3.0118 in) for suction engines and 61 mm (2.4016 in) for turbo engines. Install the oil pump slide spring pin along with the oil pump slide spring (4). Use a screwdriver to compress the oil pump slide spring. The flat side of oil pump slide spring pin must face upwards. Measure the oil pump clearances to ensure a correct installation of the oil pump components. Refer to Engine Front Cover and Oil Pump Cleaning and Inspection. 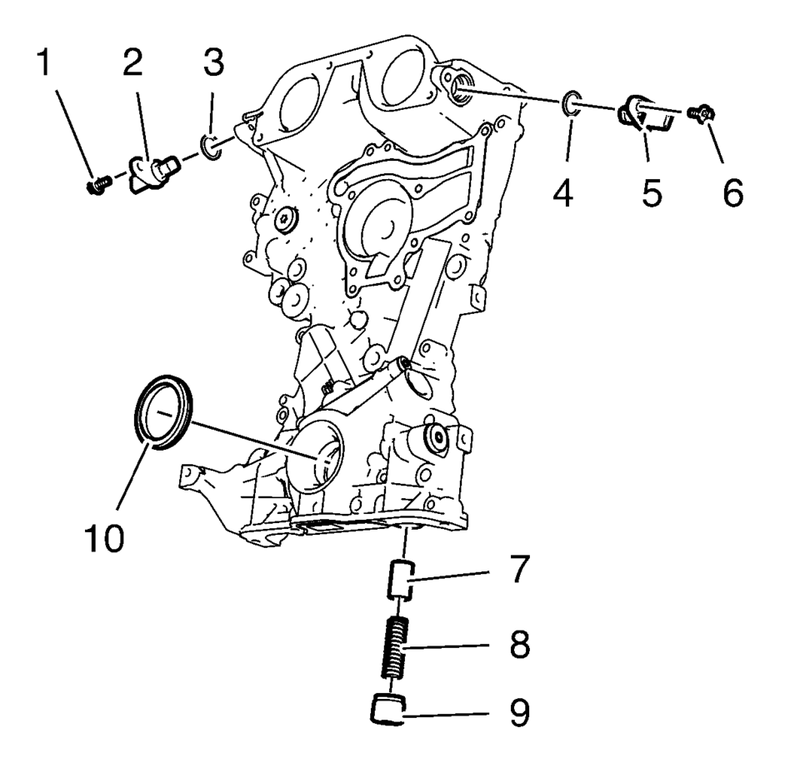 Lubricate the oil pump vanes, the oil pump vane rotor, the oil pump slide spring and the area (3) with engine oil. Inspect the oil pump slide spring mechanism for functionality. Install the oil pump cover (2) and the 8 oil pump cover bolts (1). 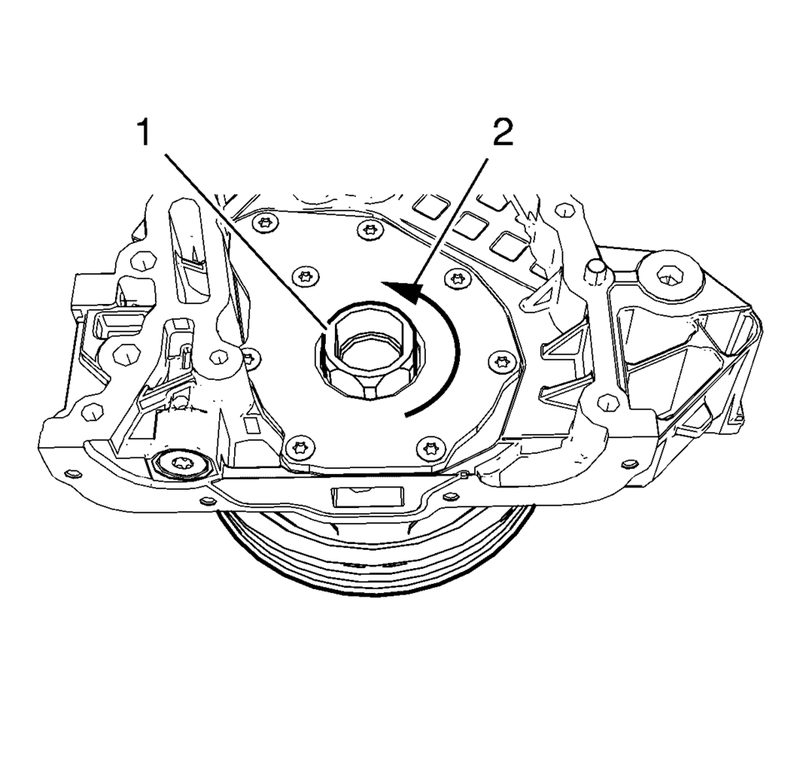 Install the crankshaft balancer (1) and rotate in the direction shown (2) in order to inspect the function of the oil pump mechanism. The crankshaft balancer should rotate easily. 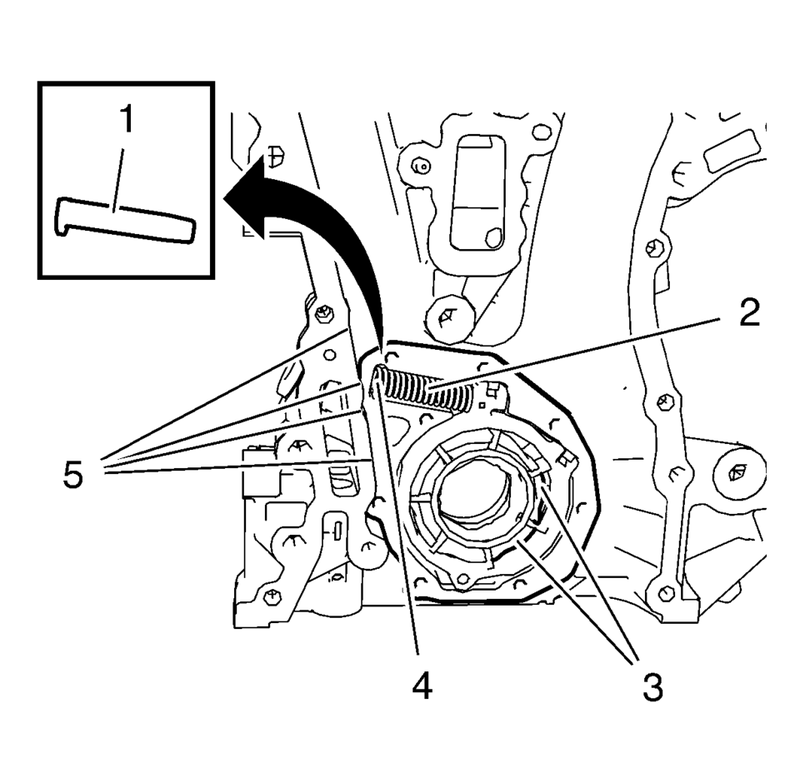 Install the crankshaft front oil seal (10). 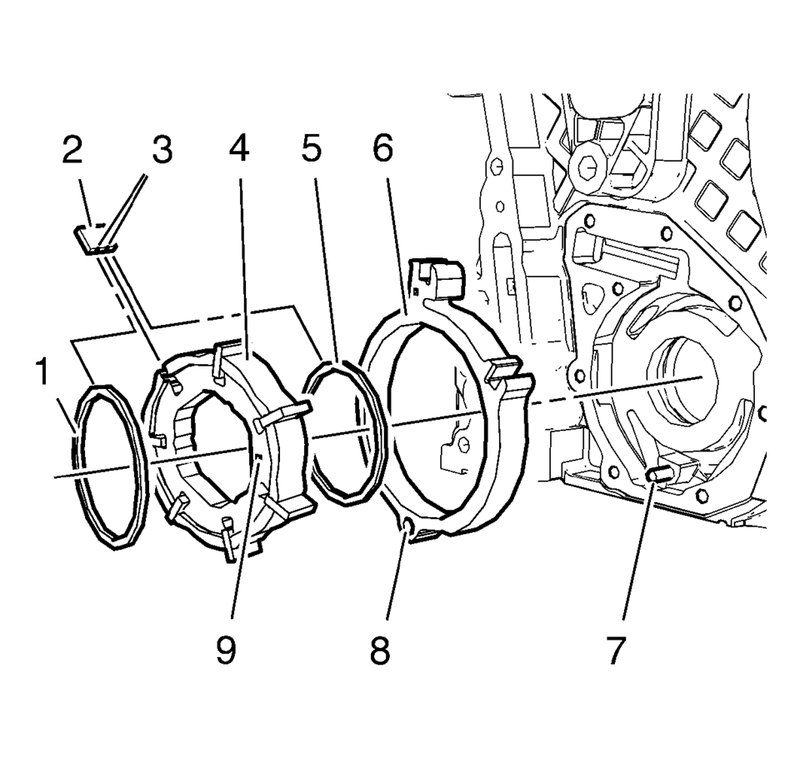 Install the exhaust camshaft position sensor (5) and the seal ring (4). 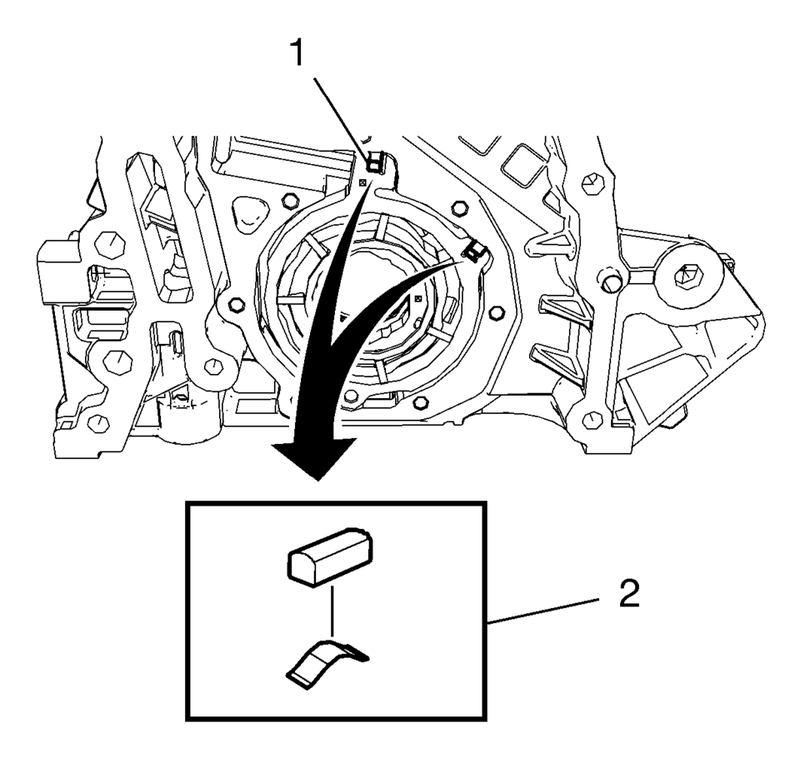 Install the intake camshaft position sensor (2) and the seal ring (3).